Home / Knowledge / Spirituality / Valentine’s Day: A Holy Event Morphed into Gynocentric Farce! The month of February has rolled over yet again with all its absurdity, namely the 14th and Valentine’s day. It is a testament that even the most rational of individuals are reduced to blind followers on the altar of consumerism. Why is this still a thing? Valentine’s Day did not start out as the romantic occasion it panders as today. 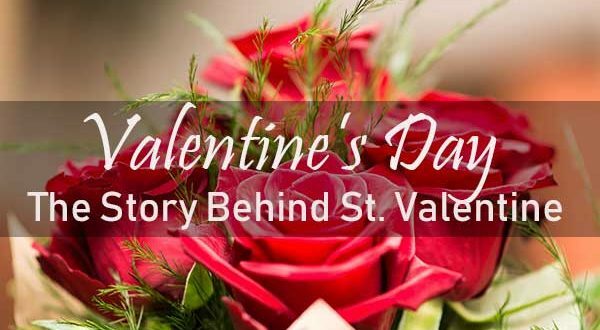 During the Roman oppression of the Christians in the 3rd century, a saint called Valentine risked his life by performing Christian wedding ceremonies to couples. He was eventually beheaded for his transgressions, and his sacrifice was remembered on the day of his death. No one is really sure how such a holy event morphed into the farce it is today, but the day is a far cry from its spiritual origins. It is suggested that Christian couples started exchanging tokens of love during the 18th century; however, today it is an intricate expression of greed and superficiality. It is not the flowers and chocolates that make this day special. It is not the vows of love that are then broken the other 364 days of the year. The problem is that it is an almost exclusive emphasis on the materialistic aspect of love that the genuine emotion between the couple is often taking the backseat in favor of the most extravagant and often hollow gestures. Real love does not thrive on such paltry displays. A genuine and lasting connection between any two people is only preserved by approaching every day as an opportunity to grow closer to the other partner. Lost in the hustle and bustle of the new era of technology, we have lost sight of the most important love we can have; the connection between each of us and God. As we are further engrossed with the frivolous pursuits, we deny ourselves the spiritual succor that once inspired our ancestors to resist the greatest empire in history as St. Valentine did. The love God has for us is the only altruistic connection we will ever establish yet we ignore it for paltry lukewarm pseudonyms. God is the ultimate source of love and it is by His divinity that we have been gifted with the ability to recognize and experience these refine emotions. His compassion teaches us true humility and forgiveness. We learn how difficult it is to sacrifice a piece of our very essence for an emotion so sacred it has defied and eluded the most brilliant minds to explain it. If we distance ourselves from the source, how will we truly learn how to love? And yet we wonder why our relationships prove to be very fleeting and promises of foreverafters broken after the slightest transgressions. We need to redefine what love is. We cannot keep clutching to superficial materialistic expressions of love. We forget that romantic love is not and should not be the ultimate love in the world. The world is full of those who love us without sexual intent and yet we often sacrifice everything for the sake of the latest person to stir our hormones. Only by going back to the source will we learn how to love ourselves and let others love us. Next What Is Felt, What Is Sensed!